Eurostar, the high-speed rail service linking the UK and mainland Europe, is cutting the ribbon to unveil a pop-up express hair salon in its London St Pancras departure lounge. Chop-Chop, the ultimate salon experience for those on the go, will be taking up residence in the London lounge. Designed to offer travellers a quick, convenient and first-class cut and style, it offers chic holidaymakers and time-pressed business passengers luxury on-the-go hair styling before travelling to the Continent. Open to all passengers, clients can choose from a menu of over 20 styles including quick trims, layered cuts, dry styles and braiding, all designed by celebrity stylist Sherman Hawthorne to transform hair in just 20 minutes. For only £20, Eurostar customers can refresh their look whilst relaxing in a private pod before travel. 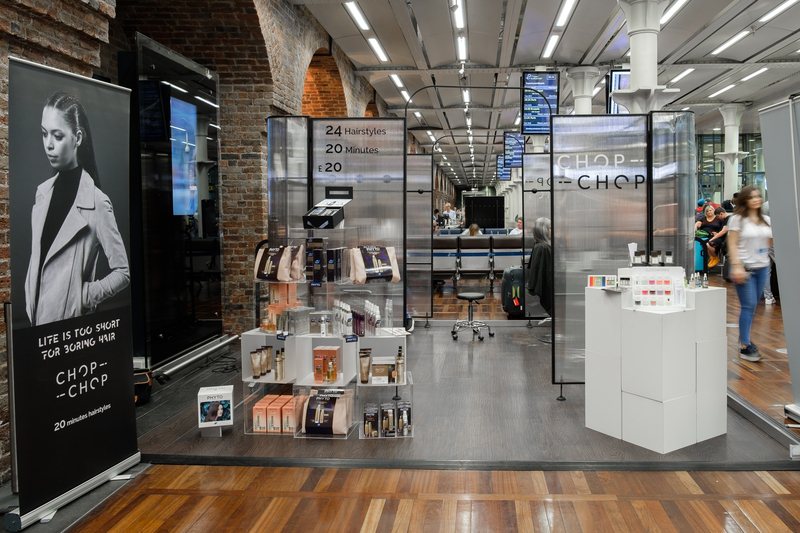 The arrival of Chop-Chop comes as Eurostar continues to invest in enhancing the customer experience and streamlining the journey through the station. With the recent introduction of eGates in London St Pancras to speed-up the security process, and World Duty Free, Eurostar is committed to improving the customer experience. Following the launch of Eurostar’s new hotel collection, the hair salon is part of a series of innovations. With a range of bespoke experiences launching across music, theatre and entertainment, Eurostar will continue to evolve the offering, providing passengers with more than just travel. For more information or to book Eurostar visit www.eurostar.com or call the Eurostar contact centre on 03432 186 186. To book an appointment visit www.chopchoplondon.com once Eurostar tickets have been purchased, or download the Chop-Chop London app. Walk-in sessions will also be available.